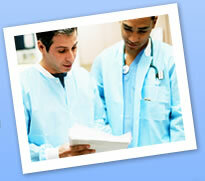 ERC provides “instant” referrals from the physician’s office and hospital. You can start billing with the correct and irrefutable documentation necessary for funding of services. Referrals are available for viewing at your convenience with a few clicks. Referring Equipment becomes as easy as writing a prescription. It saves enormous amounts of Time and Money, which allows your staff more time to focus on quality patient care. ERC puts the physician in the driver’s seat. Physicians appreciate the support from the hospital of expanded patient care. The discharge process is accelerated by using electronically processed referrals. The referral is completed by sending it to the supplier and the physician for signing.